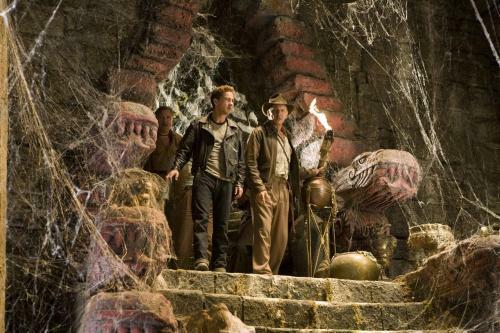 And here we see Indy with his traditional whi… rocket launcher. 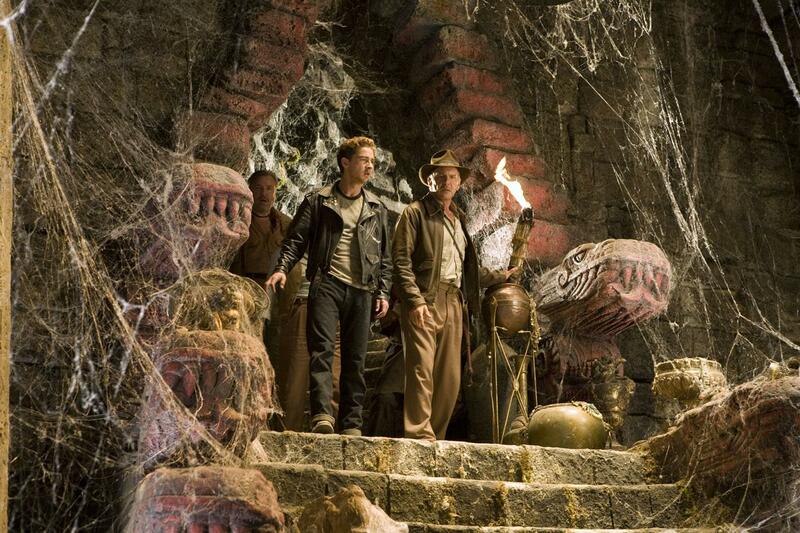 Empire online has just posted this image as a teaser for their upcoming Indy 4 feature. 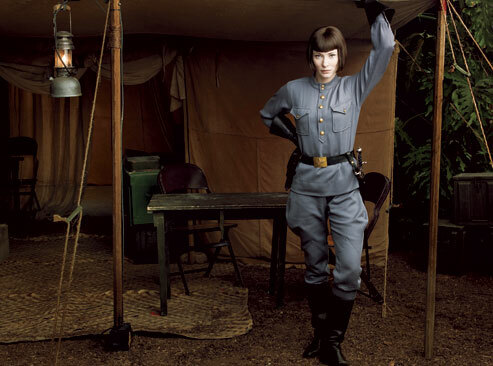 Inside the issue there is also a second picture of Cate Blanchett as Agent Spalko. “This picture is locked,” Marshall told us of the current progress. “Steven’s pretty much done editing. And we’re going into the phase with John Williams where he starts scoring the movie. He’s really writing now and then we’ll start scoring in February”. 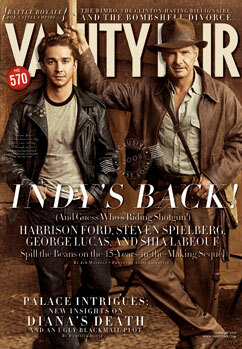 Today we are greeted by a glorious new high resolution image of Harrison Ford and Shia LaBeouf, along with some official Indiana Jones wallpapers to boot. Secondly, the official website has update to include some new wallpapers - no new pictures here, but the majority of existing ones reformatted for your desktop resolutions. How very kind of them. 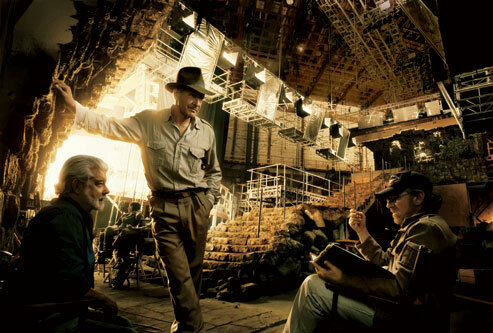 The delectable Vanity Fair are back with an ever so wonderful and enormous Indiana Jones 4 five-page feature “Keys to the Kingdom”, containing quotes, interviews and news, but most importantly - new behind the scenes pictures, including our first ever glimpse of Cate Blanchett in Kingdom of the Crystal Skull. Make sure you don’t miss the 4 page Question and Answer session with Steven Spielberg, the George Lucas Q & A session and the behind the scenes of the photoshoot video.